Proud to work, learn and grow together. Our belief is that all children should be given the opportunity to achieve their best within a safe and caring school community. When children leave Robert Wilkinson Primary Academy, we ensure that they have developed a range of qualities, attitudes and skills that will prepare them effectively for the future. These were created with children firmly in mind. They are short and memorable and can be shortened too for easy reference (S&E, HMB & CARE). They are referred to frequently along with the key life skills and characteristics we promote. 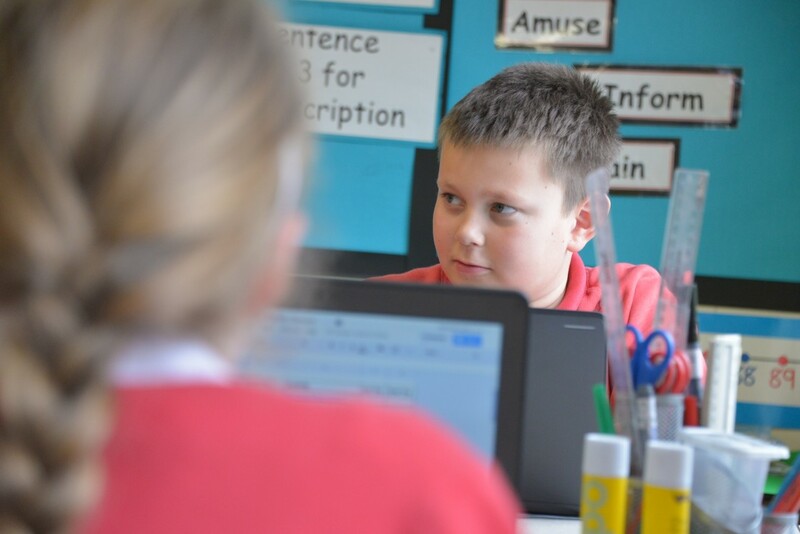 During a pupil’s time with us, we try not only to provide them with high quality learning in all the core subjects, but we also look to educate them both socially and emotionally. We endeavour to develop in our pupils, valuable life skills and tools to help them overcome the challenges that they will face as they learn and grow over the years. 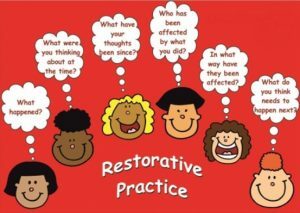 We are proud to say that we use restorative practice. This means that we will proactively support the children in managing any conflicts that arise, this could be conflict in their learning it but it also may be conflict with their peers. As a restorative school we have some core values, these are based around three themes. Our approach to behaviour and your child’s wellbeing has those values at the core. We believe in giving children the skills and techniques needed to talk about their feelings and to be able to express their views on issues that are important to them. Building resilience and tolerance in our young people is seen as an essential life skill and empowering the children to be able to communicate thoughts and feelings in a positive, honest way will help them to manage the challenges and triumphs that lie ahead. ‘Our Behaviour Expectations’ chart sets out a clear guide for all staff, pupils and parents at school. 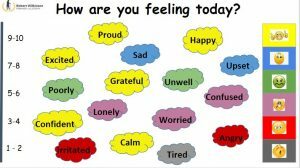 It supports everyone in understanding not only what the different behaviours are, but importantly how they make us feel. The desire to exhibit Good or even Wow behaviour is the aim for all pupils at all times, as this usually means they are doing their best and are happy with themselves and others. There are many ways that we celebrate and promote this in school. 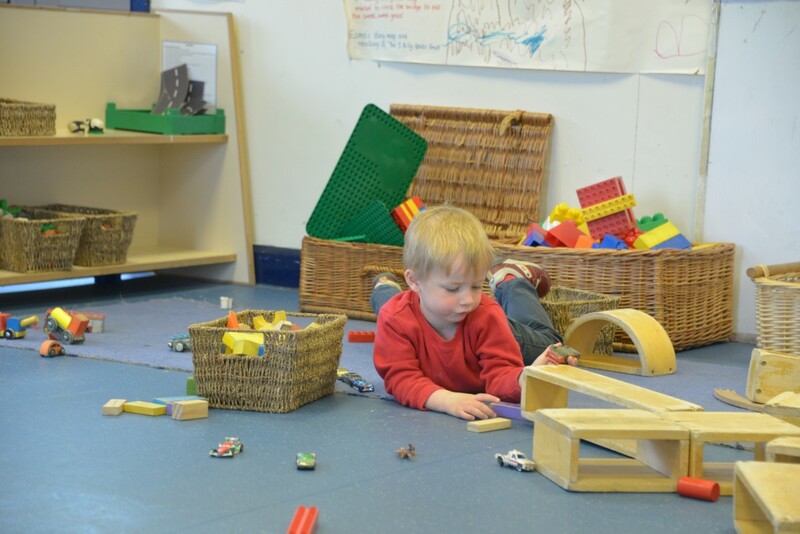 When exhibiting Wobbly or Unacceptable behaviour, restoration work begins around how the child can make better choices in order move back towards good, taking into account their feelings and those of others affected. Alongside the behaviour chart, the above poster provides a guide for staff and pupils in restoring situations where there is conflict. 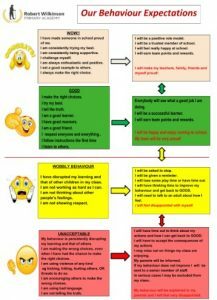 (You can download a copy here Restorative Poster) It helps to move behaviour management on from the more traditional approaches of ‘Why did you do that?’, ‘Who is to blame?’ or ‘What punishment do I give?’ into a more resolution seeking ‘What has happened?, Who has been affected? and How can we begin to repair some of the harm caused?’ Pupils are praised for their honesty and often work together in ‘Solution Circles’ to seek the restoration needed, building trust and respect in each other over time. With ‘Restorative’ approaches, pupils take more responsibility for behaviour the further they move through school. The aim is that pupil behaviours will develop, not to gain a reward or avoid punishment, but because the pupils understand the need to build a social community and to show others respect. It focuses on repairing harm rather than rule-breaking. 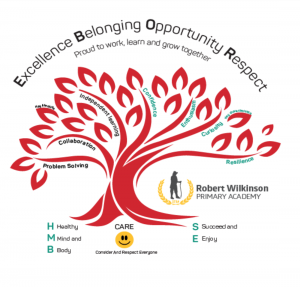 Our Robert Wilkinson Tree of Learning shows the Ebor family of schools strapline at the top, our 3 whole school aims at the bottom and on the branches those key life skills and characteristics that we firmly believe we have a duty to develop in our pupils, in order to help them lead happy and successful lives in the future. Much of our work we do regarding behaviour, wellbeing and restorative practice supports the development of these life skills.